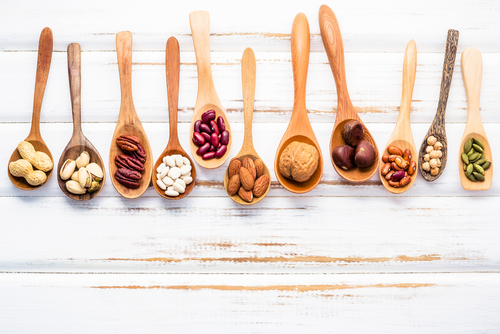 We hear a lot in the news and through social media about essential fatty acids and how important they are to our health and wellbeing. While fish oil is a great source of EPA and DHA, it is not the kind of oil you want to use on your salad. So, what should you use? Consider Udo’s DHA Oil. Omega 6 oils are also essential, meaning you need to get them from your diet. Americans get too many highly refined omega 6 oils from vegetable oils filling the shelves of the grocery store. But these Omega 6 fats have been damaged and you don’t want to put them into your body. Udo’s DHA Oil is an unrefined, very carefully processed oil that is rich in essential omega 6 and omega 3 fats. It is a great choice for salad dressings, smoothies and pasta salads. 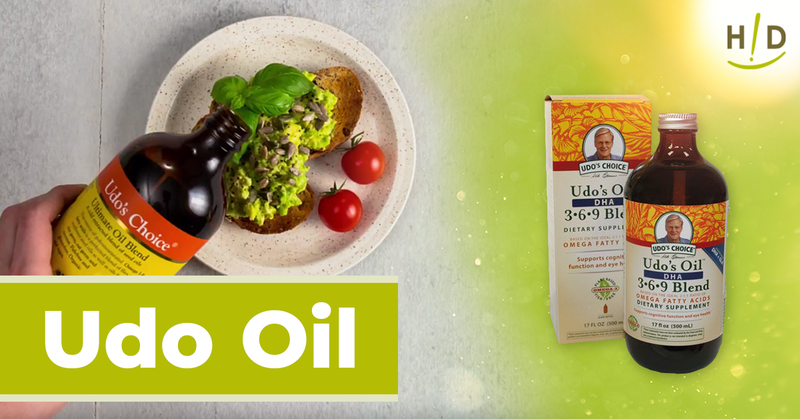 Udo’s DHA Oil, created by Dr. Udo Erasmus, is a liquid oil supplement made from the perfect blend of blend of Omega 3, 6, and 9 Essential Fatty Acids. 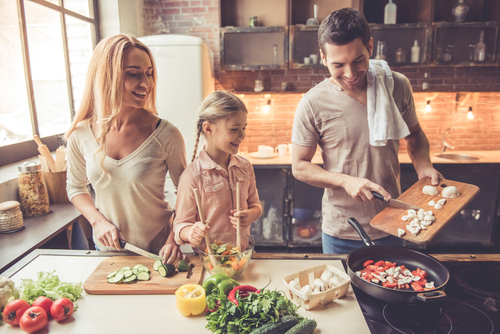 The numbers might sound rather daunting and technical, but this simple ratio can add several significant benefits to your overall health and well-being. Our bodies produce none of these essential fatty acids, and, thus, they must be obtained through our diet. Udo’s DHA Oil is from only 100% vegetarian sources: Organic flax, sesame, and sunflower seeds; coconut, and evening primrose; plus DHA from algae, as well as some organic MCTs from coconut oil. Udo’s DHA Oil is a balanced essential fatty acid oil that is recommended by nutritionists and holistic practitioners around the world and which will easily provide your body with the unrefined essential omega 6 fats that are difficult to get from other sources. 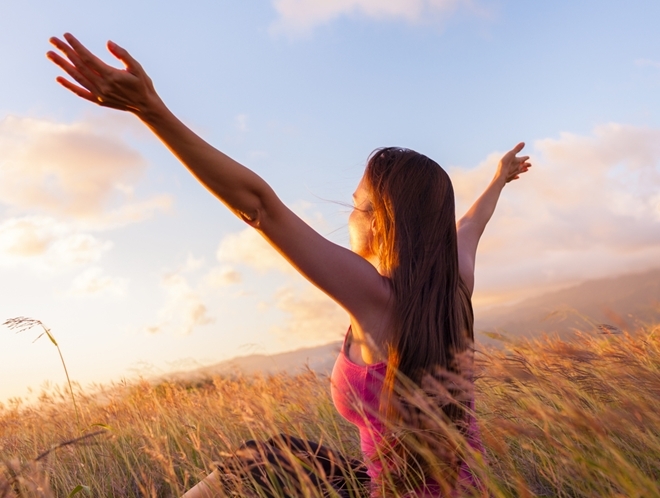 A small amount of DHA is also provided to help cover the body’s need for long chin omega 3 fatty acids. This oil is not meant to replace cooking oil; in fact, it must not be heated or used to fry foods. It is, however, easy to incorporate into your diet by blending it into your meals. Its pleasant, nutty, buttery flavor is an excellent addition to all types of recipes, even smoothies! Remember to also drizzle it over cold foods, such as tossed salads and pasta salads. You will notice that Udo’s DHA Oil, when left standing, has a cloudy layer and globules. Due to the blend of oils, these characteristics are unique to this blend. To obtain its full benefits, shake the bottle well before each use. Take one tablespoon one to three times daily with meals. A 500-ml (17floz) container should provide about 33 servings. For optimum freshness, keep refrigerated and use within eight weeks after opening. It may also be frozen to prolong freshness. Have Fun with Udo’s DHA Oil! 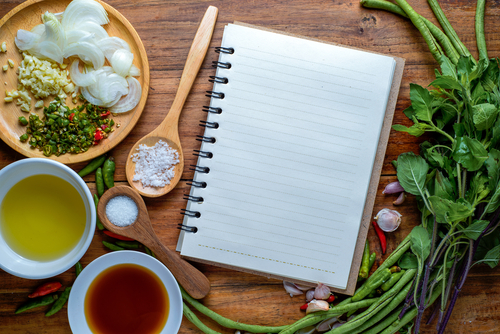 Adding this oil to your recipes allows you to explore your creativity in the kitchen. 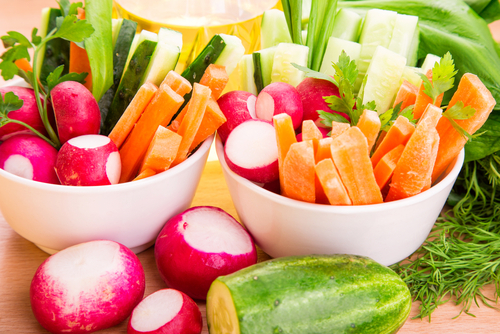 Be sure to take lots of pictures and to share your delicious and healthy creations with your friends on social media!